The chargesheet filed in a Delhi court states that the accused laundered around 28 million euro. Further action on 20 July. New Delhi: The Enforcement Directorate has filed a fresh chargesheet in a Delhi court accusing former AgustaWestland and Finmeccanica directors Giuseppe Orsi and Bruno Spagnolini and ex-IAF chief S P Tyagi of money laundering in a VVIP chopper bribery scam case. The supplementary chargesheet accused 34 Indian and foreign individuals and companies, including Tyagi, Italian middlemen Carlo Gerosa and Guido Haschke, lawyer Gautam Khaitan and Finmeccanica, the parent company of AgustaWestland, of laundering money to the tune of around 28 million Euro. “One channel was handled by middleman Christian Michel James and the other channel was handled by Carlo Gerosa and Guido Haschke. Gerosa and Haschke in collusion with Tyagi Brothers, cousins of S P Tyagi, conspired with Gautam Khaitan of M/s OP Khaitan & Co, Auditors and Solicitors based at New Delhi,” the charge sheet said. Special judge Arvind Kumar put up the chargesheet, filed through special public prosecutor N K Matta under sections 3 and 4 of Prevention of Money Laundering Act (PMLA), for consideration and further action on 20 July. The agency said that it may file more supplementary chargesheets in the matter. 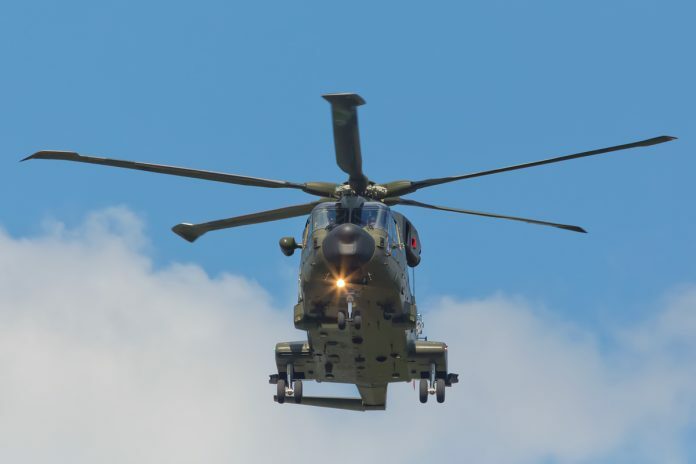 On 1 January, 2014, India had scrapped the contract with Finmeccanica’s British subsidiary AgustaWestland for supplying 12 AW-101 VVIP choppers to the IAF over alleged breach of contractual obligations and charges of kickbacks of Rs 423 crore paid by it to secure the deal. The accused named in the chargesheet include Guido Haschke, Carlo Gerosa, S P Tyagi, his cousins Rajiv Tyagi and Sanjeev Tyagi, advocate Gautam Khaitan and his wife Ritu Khaitan, Shivani Saxena and her husband Rajeev Saxena, both directors of two Dubai-based firms. Besides, the final report also named various Indian and foreign firms, including Finmeccanica SPA, AgustaWestland, Aeromatrix Info Solution Ltd, Windsor Group Holdings, Ismax International Ltd, Cricklewood Ltd, Long Lasting Ltd, Matrix Holding Pvt Ltd, UHY Saxena, Dubai Interstellar Technologies Ltd, O P Khaitan and Co, International Mediterranean Consulting, Tunisia, Infotech Design Systems Gordian Services. “Khaitan, the mastermind behind laundering the proceeds of crime in the present case, was known to the accused persons Gerosa, Haschke and Tyagi Brothers. He prepared a corporate structure of companies and got incorporated several legal entities across the globe. “Thereafter, the proceeds of crime were laundered through various companies in Tunisia, Mauritius, India, BVI, Singapore, Switzerland, Dubai etc.,” the charge sheet said. It further claimed that Khaitan also received proceeds of crime in personal bank accounts opened in his name and the accounts of his companies in India and abroad, M/s Windsor Holding Group Ltd, M/s Ismax International Ltd and M/s O P Khaitan & Co.
“Further, his associate Rajiv Saxena, an NRI based in Dubai, is the Director and Shareholder of M/s Interstellar Technologies Ltd, Mauritius, which is one of the main fronts used for laundering the proceeds of crime in the said case. “Rajiv Saxena has also transferred proceeds of crime from M/s Interstellar to his Dubai based companies M/s UHY Saxena and M/s Matrix Holdings Ltd,” it said. The agency added that Rajeev Saxena, already declared a proclaimed offender by the court in the case, in collusion with Gautam Khaitan, was also instrumental in incorporating various companies which were used in laundering the proceeds of crime in Dubai. “Gerosa and Haschke advanced huge amounts of tainted money to the Tyagi brothers in the guise of sham consultancy agreements in return of favours given to AgustaWestland in the procurement of the contract for VVIP Helicopters. The Tyagi brothers incorporated various entities for receiving kickbacks, namely Krishneel, Krishnayan, Tyagi Ishan, Krishnom, etc.,” it said, adding that S P Tyagi was 50 per cent partner in one of these concerns, namely Krishnom.